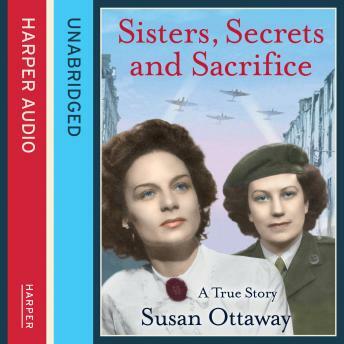 Sisters, Secrets and Sacrifice is the incredible true story of British special agents Eileen and Jacqueline Nearne, two sisters who risked everything to fight for our freedom during the Second World War. The death of an eccentric recluse is rarely an event to be given more than a few lines in a local newspaper. But when, in September 2010, police were called to a tiny, cluttered flat in Torquay and discovered the body of local 'cat lady' Eileen Nearne, they also found a small bundle of possessions that told an amazing story. For Eileen Nearne had been an agent for the Special Operations Executive during the Second World War, going undercover in Nazi-occupied France to send wireless messages of crucial importance to the Allies. Astonishingly, Eileen was not the only special agent in the family - her sister Jacqueline had also been an SOE. Rarely had two members of the same family sacrificed so much to such dangerous work. Sisters, Secrets and Sacrifice pays tribute to these fiercely patriotic women with hearts of courage, who fought for freedom at much personal cost. While Jacqueline narrowly avoided capture several times, tirelessly couriering secret documents for the resistance, Eileen was arrested and tortured by the Gestapo before being incarcerated at Ravensbrück concentration camp. She was only 23.